Plenty of people have seen the extremely popular Japanese drama, Hana Yori Dango. The pretty Inoue Mao (井上 真央), born January 9, 1987, was the main actress of the drama. She has been acting for a long time, starring in small roles ever since the young age of five. But it was in 1999 in the drama, Kids War (キッズ・ウォー　～ざけんなよ～) that audiences began to really take notice of the rising star. In 2005, Mao dominated the screens with Hana Yori Dango (花より男子) where she starred as Makino Tsukushi (牧野 つくし) alongside the band, Arashi’s, member Matsumoto Jun (松本 潤). The drama was hugely successful (note: see JDrama section for Ratings & Review) and the sequel, Hana Yori Dango Returns (花より男子 ~リターンズ~) aired in 2007 under great anticipation. Nishikido Ryo (錦戸亮) is not only an actor, but a composer and a singer in two bands. Born in Osaka, Japan in 1984, he is a well-known Japanese celebrity and stated as a heartthrob. Ryo first debuted in 2004 as a member of both NEWS and Kanjani8. Both bands are from Johnny’s Entertainment. Ryo is signed to Imperial Records. 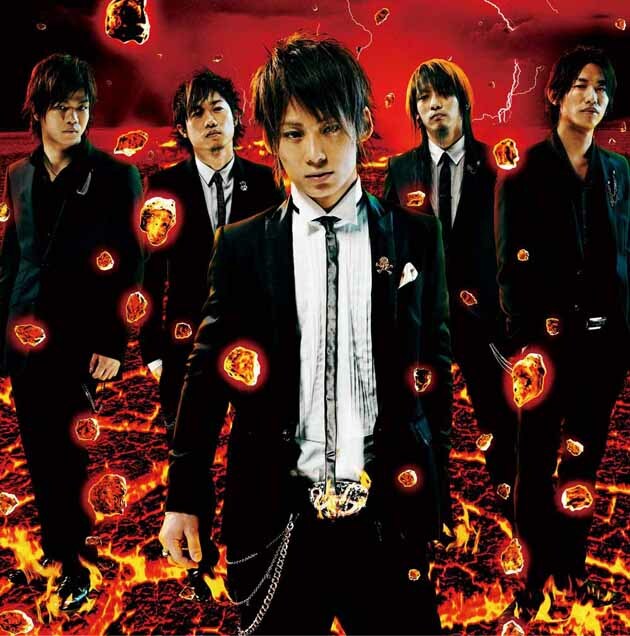 NEWS is a 6-membered band consisting of Ryo, Yamashita Tomohisa (山下 智久), Koyama Keiichiro (小山 慶一郎), Masuda Takahisa (増田 貴久), Kato Shigeaki (加藤 成亮) and Tegoshi Yuya (手越 祐也). The group’s name is based on an acronym for the cardinal directions (North, East, West, South). Originally a 9-membered band, two members were suspended for underage drinking and one left. The first promotional single to be released was NEWS Nippon (NEWS ニッポン). This song was used as the theme song for the World Cup of Volleyball Championships. Their debut single, Kibou: Yell, made it very high on the Oricon charts. They later released two singles, Burning Red Sun (紅く燃ゆる太陽) and Cherish (チェリッシュ), both topping the Oricon charts. NEWS’s first album, Touch, sold 164,016 copies in its first week.